right, that's like only 1.99999% of existing code!!! i've read high exaggerations of 2% in other threads. and don't forget, the bitshares messenger (wasn't that called Keyhotee at first?) said we weren't aware that this project died months ago. speaking of that, i really need to go register bitghost instead of hanging around this forum where they do nothing but look forward... so much so that they didn't even notice this is a dead project walking! You do realize that parts of the code have been written by 3rd party developers like websocketspp, miniupnpc and other libraries? Did you take the 'fc' library, the 'qt_wallet' and the 'web_wallet' into your considerations? I'm joking x, poking fun at another thread that cried "only 2%!". woops .. mixed things up .. again ..
My RL is serious enough. Online is where I escape it and have fun. I haz disclaimers in muh sig now! Please consider only asking questions here. It helps me to keep the hangouts directed toward questions. Makes it a bit more difficult to find all the questions when there is unnecessary commenting here. Thanks for understanding everyone...but this is a place for only asking questions for future hangouts. I'd prefer if you responded to this question during the hanghout and not (only) here on the forum (unless you plan on doing both). Previously you stated you would be keeping track of CIYAM's progress with automated transactions. Now that CIYAM, Qora, Burst have successfully completed an atomic cross-chain transaction on a mainnet, what are the realistic expectations regarding BitShares and AT time wise? I'm assuming AT is not a high priority for BTS, but would be a welcome addition, if doable. I'd really love to see something like Roland Faust's Simple Term Deposit AT on the BitShares blockchain. Please make it happen! Oh and if BitShares does add AT, please have documentation (a how-to at the least) publicly available at the time of release. I'm learning (on Qora) and with no docs, having to find a dev on slack and ask one question at a time over several days is tedious. So put it out with training wheels on for those of us at the back of the herd. I have a guestion for that guy. Protoshares that was renamed to Bitshares-PTS and moved from a pow algorithm to dpos. BitShares aswell as other DACs sharedropped on protoshares. But since no new DAC that looks promising enough decided to sharedrop on it people forgot about it. I have not forgotten about it. People who Sharedrop on PTS will still gain my personal support, though it will only be my own personal support that is guaranteed in that equation. AGS is another place I would support because they are the ones who really truly were the believers who donated to the construction of the toolkit. In my mind, they are not only a demographic that represents the cream that rose to the top, but are actually the sweetest of the cream. 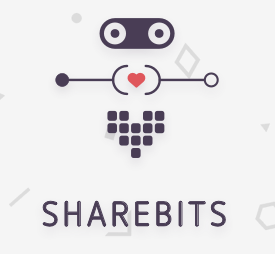 Sharedropping is a means of gaining support from all the original founders here in BitShares who are consistently adding value to the BitShares ecosystem and constructing infrastructure that will easily form a foundation to promote the value of new DPoS Chains. Many people who clone BitShares and DPoS chains do not wish to sharedrop because they let greed overrule their own rational judgment, but 10%-20% sharedropping on these people is probably the most intelligent thing a clone can do...because it gives them a portion of the network effect that has already taken nearly 2 years for this strong community to create. Current price rise seems like proper pump and dump backed with proper hype. I am little bit worried you will rool out 10% of promised stuff and than we are back on the death slide. Please commnet on that issue for me. Paypal - New Draconian Polices take effect July 1st. <-----What are BM's general thoughts? Does he have any? He closed his account like many in the community so it would be interesting to hear his and the rest of the community's reasons for closing their Paypal accounts. Increase in MarketCap <----- Why do you think talking price is valuable and are there any more important metrics people should consider? Old DAC Ideas <----- I was looking at some old DAC videos by BM in the early days of BitShares and became very interested in how he thought the ecosystem might develop moving forward. Will all DACs have a reason to all be part of BitShares? Or does he see "BitShares-Powered" chains existing beside BitShares? Do any of the old DACs seem like valuable concepts today? What is the investor funding the dev team atm getting in return? First, let me say, thank you good sir for creating Bitcoin! Second, why did you leave Bitcoin to start BitShares? Define "a good while", in terms of dev funding. See previous hangout where you stated, "the core devs have secured funding to be around a good while". "Privacy and speed do not mix"? This sounds like a challenge or do you believe such a dilemma will never be conquered? "BTS benchmarks 180,000 per second (only claim 100,000 per second), assuming all nodes have bandwidth to handle load." How much bandwidth is required by a delegate to "handle the load"? "if you vote poorly, price goes down". Is there a solution for poor voting, outside of voter education? You can't force people to pay attention and I'd hate to blame BitShares failure on "poor voting" by hodor. Please discuss the new licensing more. I want you to take a "look at the technologies" in BitShares and give your assessment of how it compares to other top crypto's. Are you happy with where BitShares is today? Do you consider BitShares to be ahead or behind of where you thought BTS would be 2 years ago? What's different about BitShares today, compared to your original vision? Why is it different?